Tesla’s stock has come under pressure in recent days, dropping 8.2% on Tuesday as analysts questioned Model 3 production targets and the National Transportation Safety Board announced a second investigation into a death involving a Tesla vehicle. 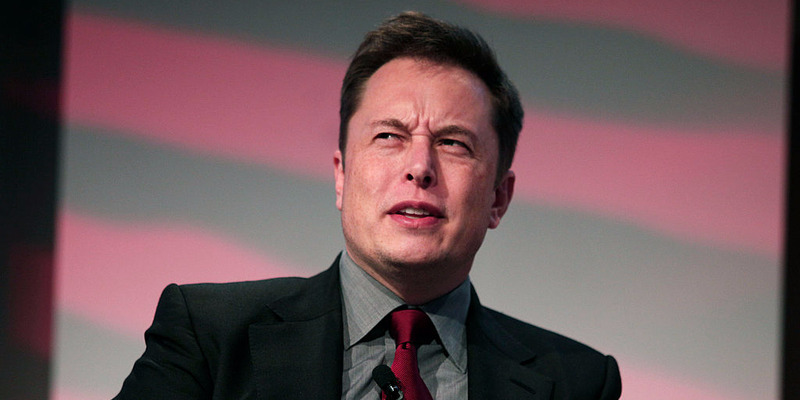 That would be short sellers, or investors betting on Tesla‘s stock price to fall. They raked in a whopping $US749 million on Tuesday alone, as the company’s shares plummeted 8.2% after analysts questioned its ability to hit production targets for its Model 3 sedan. Tuesday’s decline brought the mark-to-market profit for short sellers to $US1.9 billion for March and their year-to-date haul up to $US835 million, according to data compiled by the financial-analytics firm S3 Partners. Tesla’s stock also felt pressure from the National Transportation Safety Board’s announcement that it would open a second investigation into a crash involving one of the company’s vehicles. And Waymo’s newly revealed electric-car partnership with Jaguar also put a damper on Tesla trading. 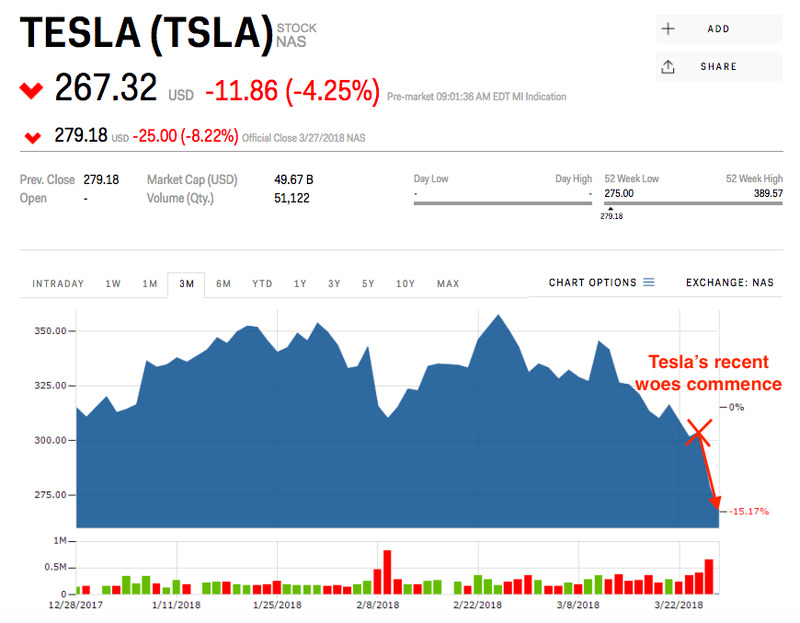 It was a triple whammy of sorts for Tesla, which fell another 3.5% on Wednesday following a downgrade from the rating agency Moody’s. It also means more profits for short sellers, assuming they didn’t close positions during Tuesday’s sell-off. Unfortunately for Musk, his company’s share loss on Tuesday makes Tesla the most profitable short in the US market, according to S3 Partners – something sure to entice other investors to enter the trade.